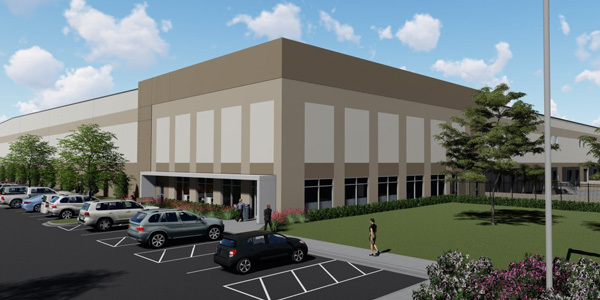 Ridgeline Property Group was selected to develop a 1,099,880 square foot build-to-suit for Haier GE Appliance in the Northwest bulk submarket of Atlanta in the city of Commerce, off I-85 North. 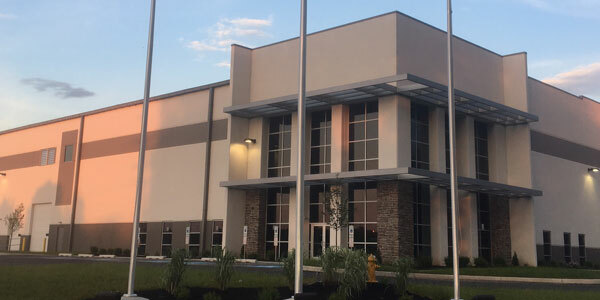 The building features include cross-dock configuration, 6,000 square feet of office, 36’ clear height, 200 dock doors, an all concrete truck court and 400 trailer parking spaces. The facility is being used to distribute kitchen and laundry appliances. 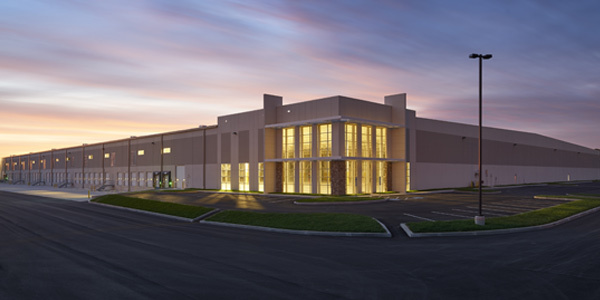 Located at the confluence of I-81/I-78 in the Central Pennsylvania industrial market, Crossroads Logistics Center is a 398,250 SF cross dock building with 51,840 SF available for future expansion. The building is fully leased to Samsung Electronics. 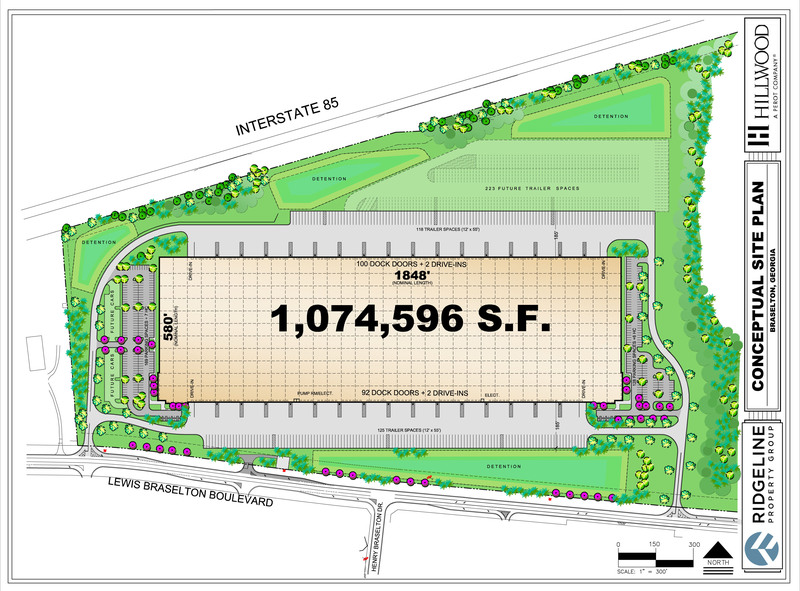 The 35 acre site is less than 1 mile to I-81 providing access throughout the Northeast US. 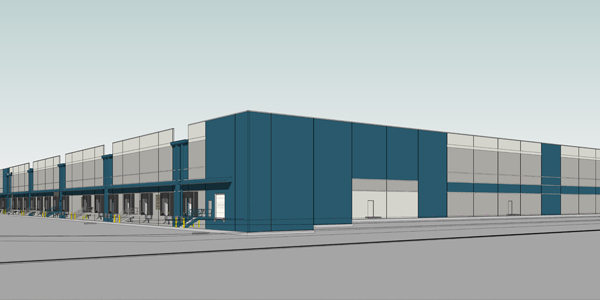 Key project features include 36’ clear height, tilt-up concrete, 55’ x 56’ bay spacing, 60’ loading bays, 85 dock doors, 4 drive-in doors, 206 car parking spaces and 116 trailer parking spaces. The workforce population is abundant with 339,000 people within a 40 minute drive. The Lebanon County property has received the LERTA (Local Economic Revitalization Tax Assistance) designation. 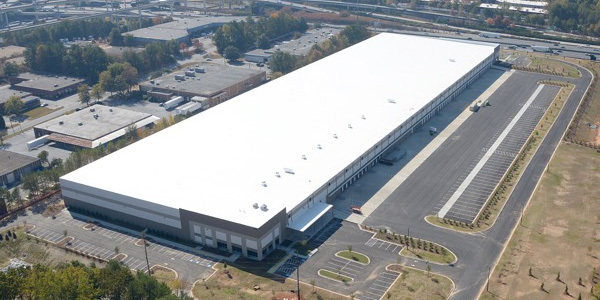 Ridgeline Property Group was hired by Georgia-Pacific on a fee basis to construct a 220,480 square foot expansion to its existing 900,640 SF facility in McDonough. 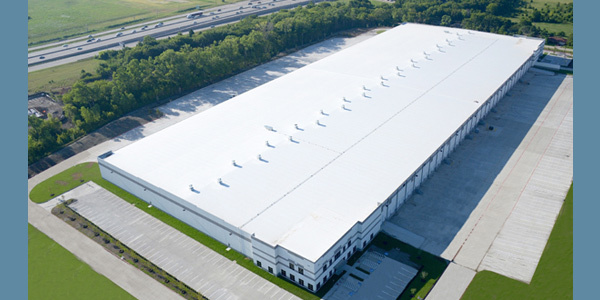 Completed in February 2018, the paper and plastic products distribution center is a total of 1,121,120 square feet. 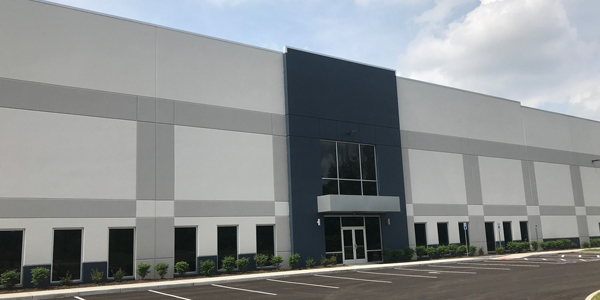 Ridgeline Property Group completed a 22,000 SF expansion for Interoll at their Hiram, Georgia facility on a fee development basis. The expansion space brings the building to a total of 114,515 square feet. 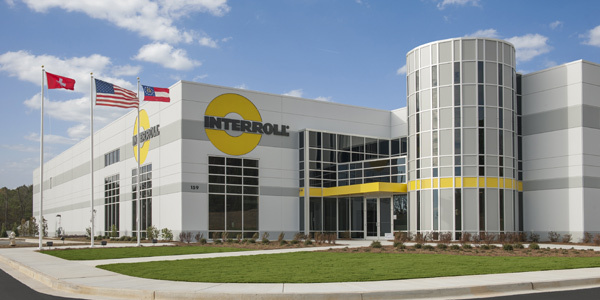 The facility serves as the North American Showroom and regional offices for Interoll’s President of North and South America and Marketing Directors. The Swiss based company produces rollers and conveyor system components for Fortune 500 companies throughout Europe, Canada and North & South America. 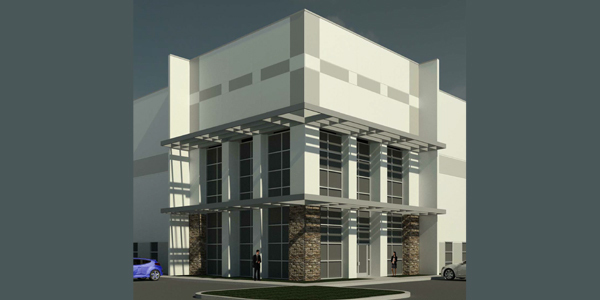 Ridgeline Property Group was selected to develop a 249,756 square foot expansion to the existing 500,000 square foot Whirlpool facility in Orlando, Florida. The 480’ wide x 530’ deep addition will feature 80’ loading bays, 30’ clear height, 28 dock positions, 85 auto spaces and 51 trailer spaces. 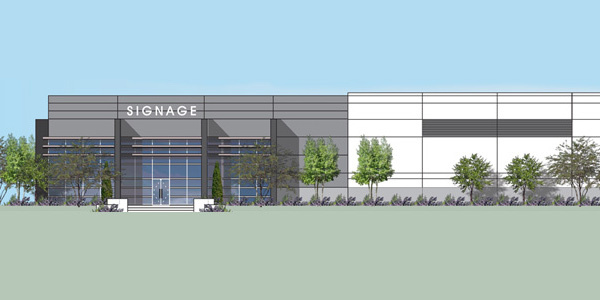 Southwire selected Ridgeline Property Group for the 415,800 square foot build-to-suit of its facility in Villa Rica, Georgia. 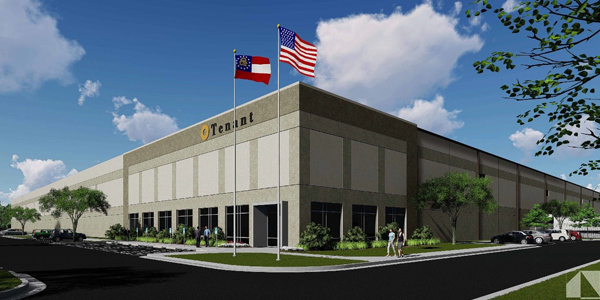 The 550’ x 756’ building will have 6,300 square feet of office space, 60 new dock doors/4 drive-In doors, 206 parking spaces, 30 trailer spaces and a 2,400 square foot shipping office. The building was completed in the Fall of 2018. 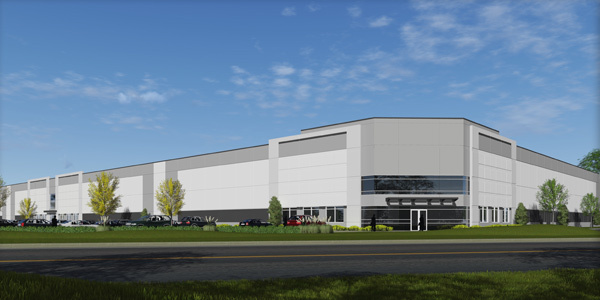 Ridgeline Property Group was selected by Low Temp Industries to develop a 176,000 square foot facility for the design and manufacturing of stainless steel custom food service equipment. 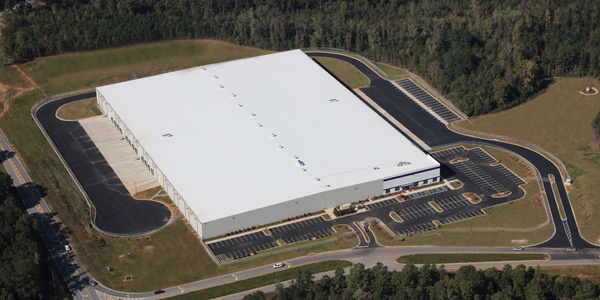 The state-of-the-art building located in Jonesboro, GA has 16,000 square feet of office space, 30’ clear height and 10 dock doors. The building was completed in the Fall of 2018. Park 78 Logistics Center is situated in a premier location with direct access to I-81 and I-78 in Jonestown, PA. The 345,600 square foot, rear load design building has tremendous freeway visibility, 36’ clear height, ESFR sprinkler system, 63 dock doors, 252 auto stalls, up to 80 trailer stalls and the LERTA Tax Abatement Program in place. Florence Logistics Center is located on Sam Neace Drive in the Northern Kentucky/Greater Cincinnati area and within 1-Day drive time of 60% of the US Population. The site has immediate access to I-75/71. The 218,400 square foot building is divisible and zoned I-1 for Light Industrial. Property features include 32’ clear height, ESFR sprinkler system, 20 dock doors/2 drive-in doors, 52’ x 60’ column spacing, 7’ unreinforced concrete slab, 157 auto spaces and 50 trailer spaces. An inland waterway, 2 Class I railroad systems, 3 Interstate highways and an accessible international airport are all located in close proximity. 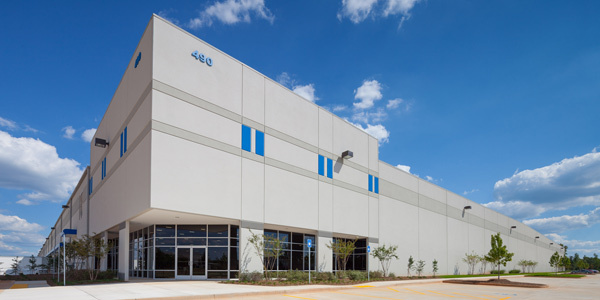 The building is fully leased to Ryder Logistics & Trac Intermodal. Eagle Park 20/35 is located at the corner of Centre Park Boulevard and Chalet Drive. The park has all zoning in place and is in close proximity to all logistics oriented area infrastructure. The site is 11 miles from the UP Dallas Intermodal Terminal and the future BNSF Intermodal. It is also 10 miles from the FedEx Ground Hub and has tremendous access directly to I-20, I-45 and I-35. Only 15 minutes from downtown Dallas, the City of DeSoto offers competitive economic incentives including tax abatements on real and personal property, as well as Triple Freeport inventory exemptions for qualified users. Crest Hill Industrial Park is a 438,150 square foot project with excellent access to I-55 and I-80. It is located in Will County, known for its low real estate taxes, exceptional source of labor and in close proximity to the BNSF-UP Intermodal. 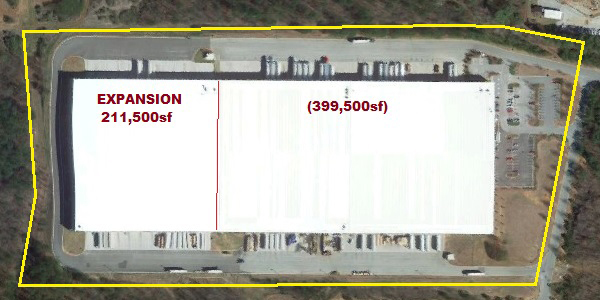 The 32’ clear building provides a functional layout and a secured truck court. The project includes up to 78 docks, 4 drive in doors, 163 trailer spots, ESFR sprinklers, roof mounted air rotation units and 2,000 amps of power. The building is 100% leased to a major e-commerce company. 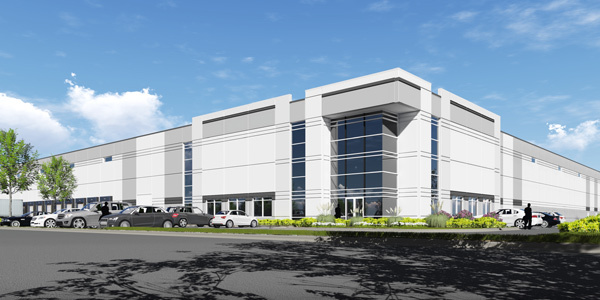 The client selected the facility due to its proximity to their other Chicago assets which total in excess of 6.5 million square feet. RPG added an additional 61 dock positions and created 350 more car parking spaces, all of which will accommodate the client’s current and forecasted usage. 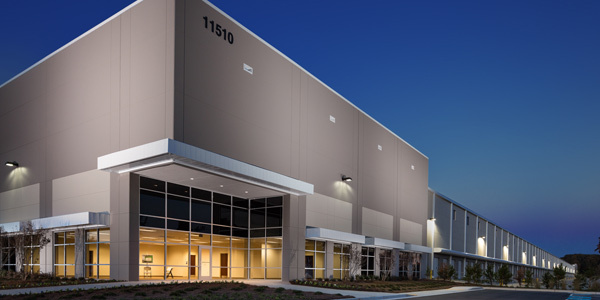 The McCall Drive Distribution Center, situated in the City of Doraville in Northeast Atlanta has excellent visibility from I-285 including a signage opportunity. 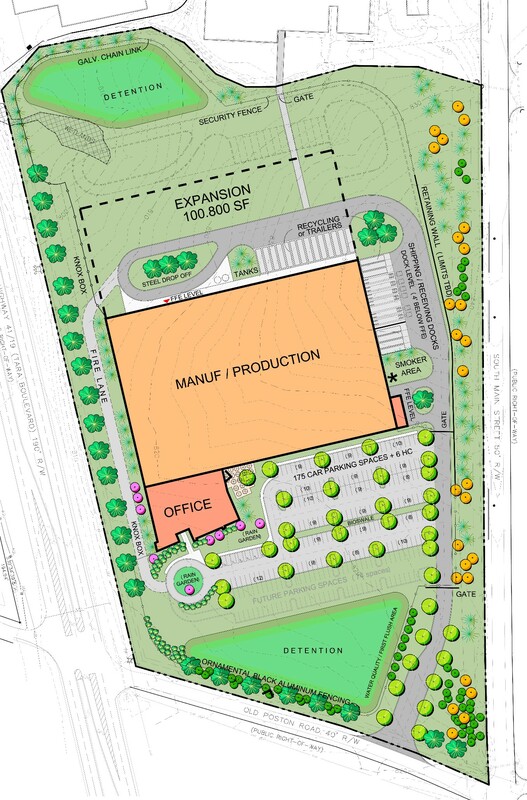 Highlights of the industrial warehouse project consist of an existing rail spur on site, 180 car spaces, 60 trailer spaces (+53 future), 190’ truck court, 32’ clear height and 52’ x 50’ bays/65’speed bay. 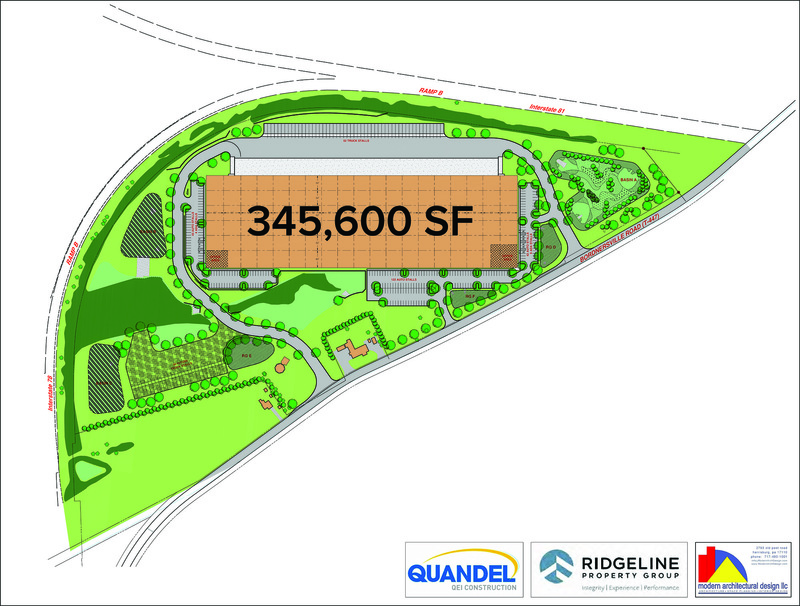 Ridgeline Property Group was selected by Glovis Georgia, LLC to develop a Class “A” industrial facility in the North West Harris Business Park in West Point, GA. 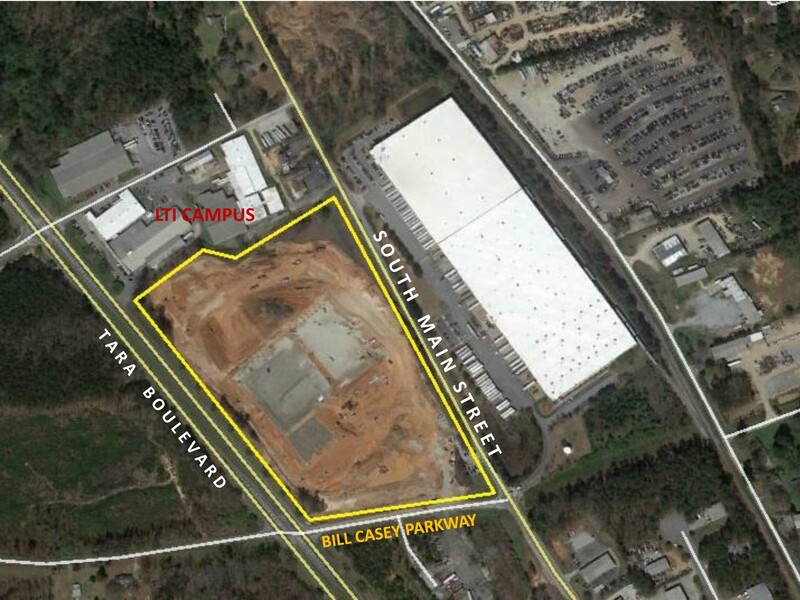 The site for the state-of-the-art, 310,080 square foot building is situated off of Highway 103 and Interstate 85 near the Georgia/Alabama border. Glovis, a wholly owned subsidiary of KIA, is responsible for “just in time” parts delivery to KIA automotive plants and dealers in the United States. 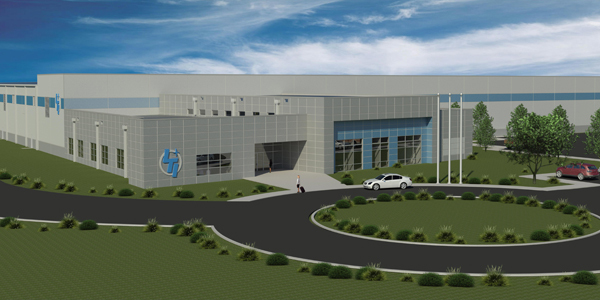 The new building will serve as the sequencing facility for all U.S. made auto parts required by the KIA West Point assembly line which is located only 5 miles away. 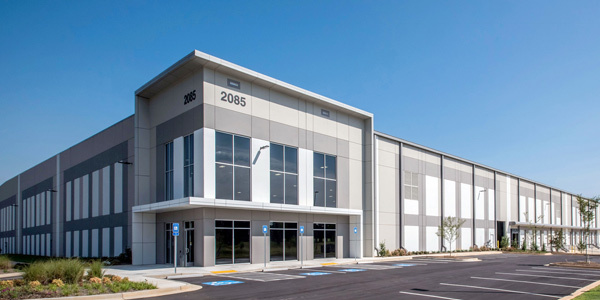 Highlights of the 32’ clear height building include cross-dock configuration, 6,000 square feet of office space, ESFR, 6″ concrete slab, 60′ x 60′ column spacing, 24 docks/3 drive-ins and 99,840 square feet of expansion space.